On my way home from town, I looked up and noticed the fresh snow on Bogorno. Something down my feet caught my eye eventually. I quickly came off the spell of the mountain’s beauty, There, about to be squashed by my own foot, a brown leaf covered by newly formed water drops was my source of inspiration today! 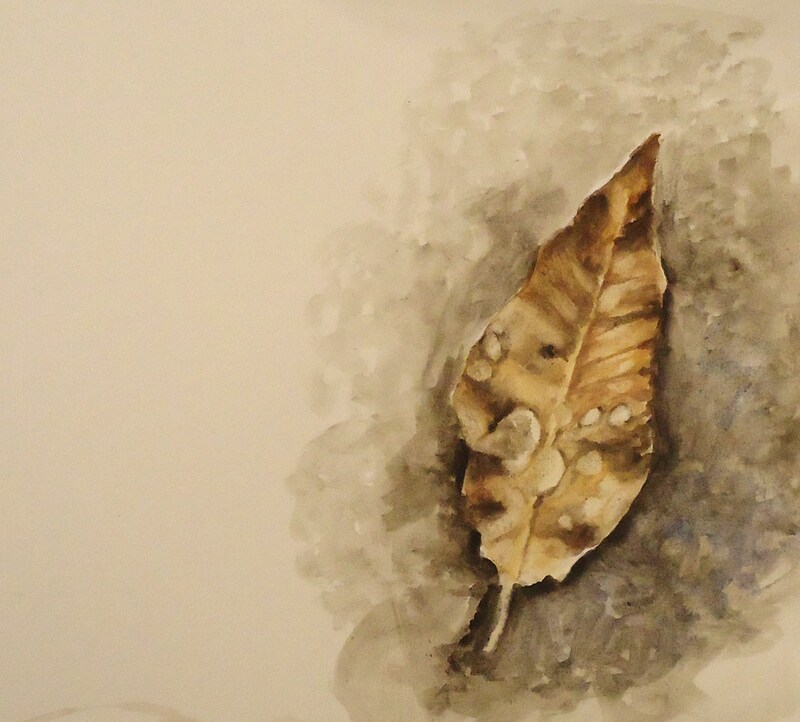 I quickly grabbed my watercolors to catch on paper, something so simple yet fascinating. “Don’t just look up!” I thought to myself….